Proteomics has come a long way in the past ten years but its progress is dwarfed by that of its counterpart genomics. While the complete genome had already been sequenced back in 2000 the proteomics field is still seemingly in the dark ages. "We find that this latest PeptideAtlas build includes at least one peptide for each of ~12500 Swiss-Prot entries, leaving ~7500 gene products yet to be confidently cataloged." Ref | The state of the human proteome in 2012 as viewed through PeptideAtlas | J Proteome Res. 2013 Jan 4;12(1):162-71. doi: 10.1021/pr301012j. Epub 2012 Dec 5. As pointed out by the Secretary General of HUPO back in 2010, one of the likely reasons for why many of the human proteins have not been detected is a lack of sensitivity of current techniques. Even microarrays and immuno-PCR based methods require huge numbers of target molecules to provide a detectable signal such that proteins at 10's to 100's of copies per cell are invisible to said techniques unless exhaustive purification and concentration is performed. With both novel instrument design and techniques such as SWATH, mass spectrometry has improved significantly in both its sensitivity and ability to look at large no's of proteins simultaneously. However, despite these improvements there is still no equivalent of the next generation DNA sequencer that can perform on a simple, easy to use and rapid instrument platform a complete human proteome scan with simple to interpret results. The inability to perform a complete human proteome scan has led researchers to 'make do' with only those proteins that they are able to detect. 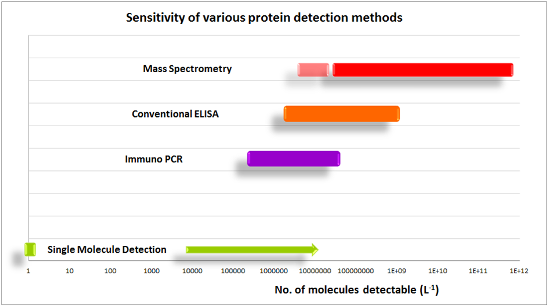 However, using this restricted sub-set of the total number of proteins means that any biomarker discovery programme is likely to be severely wanting in its sensitivity and specificity as the proteins that are likely to be most relevant could well reside among those at lower concentrations and therefore not detectable by current methodologies. While this is just a hypothesis, the severe lack of translatable protein biomarkers achieving FDA approval may be such a consequence and indirectly show the hypothesis to be true. What is required to improve the status quo is a simple to use, rapid and most of all comprehensive protein biomarker discovery and validation platform that is able to detect all proteins in a sample irrespective of concentration. 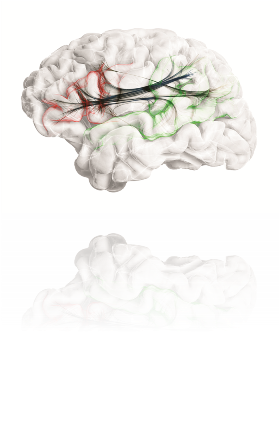 Pastel's InVenio™ technology and the resulting instrument platform will achieve exactly that and allow researchers to discover protein biomarkers that will stand up to the rigours of the translational process providing 'fit for purpose' biomarkers to clinicians and patients. 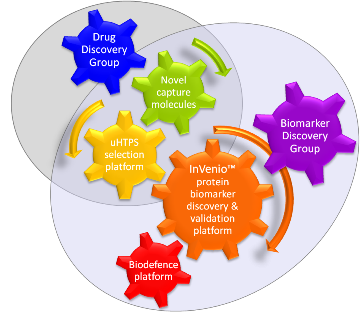 Pastel's primary focus is on commercialising the InVenio™ biomarker discovery and validation platform but to do so it we are developing technologies that will have alternative applications (capture molecules and ultra high-throughput selection platform) as well as additional markets. Some of these represent out-licensing opportunities while others could be turned into separate businesses. Pastel will explore the best way to leverage each of these possibilities so as to maximise returns for its shareholders.